Remember how I said that I hoped my last blog post would be my last blog post? Yeah, whatever. But this was predictable, wasn’t it? After all, I have shown no backbone whatsoever when it comes to turning down my wife’s requests that I write blog posts. And given that my wife is a film producer, there was exactly zero chance that she was not going to ask me to do something else, and I suppose that writing another blog entry is one of the more painless things I could have been asked to do (alternatives being things like eating spinach, cleaning the gutters, financing the film, etc.). So here we go with blog number three, meaning I need a third topic. 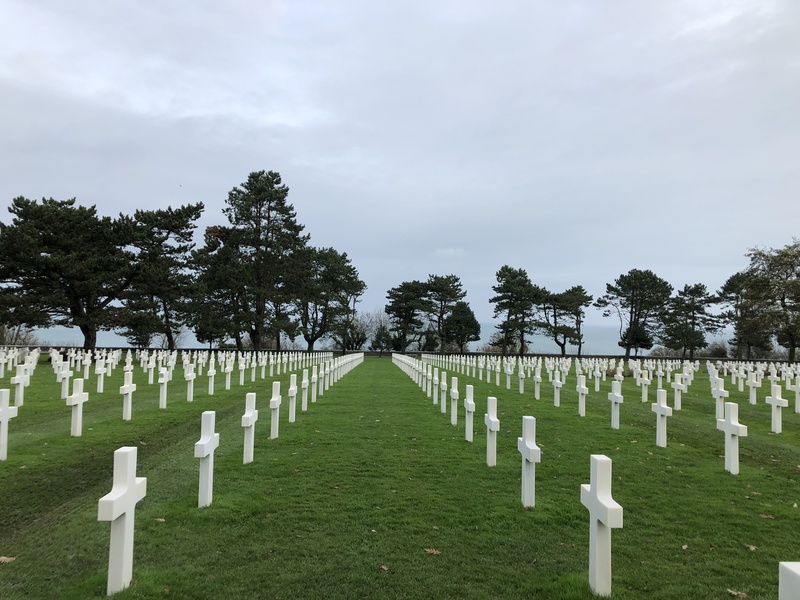 In the end, and in keeping with this top ten theme I have going, I decided to go with the top ten lessons that I learned on my trip to Normandy last November. But to tell those top ten lessons learned, a little background is needed first. I am a pretty frequent traveler for business. 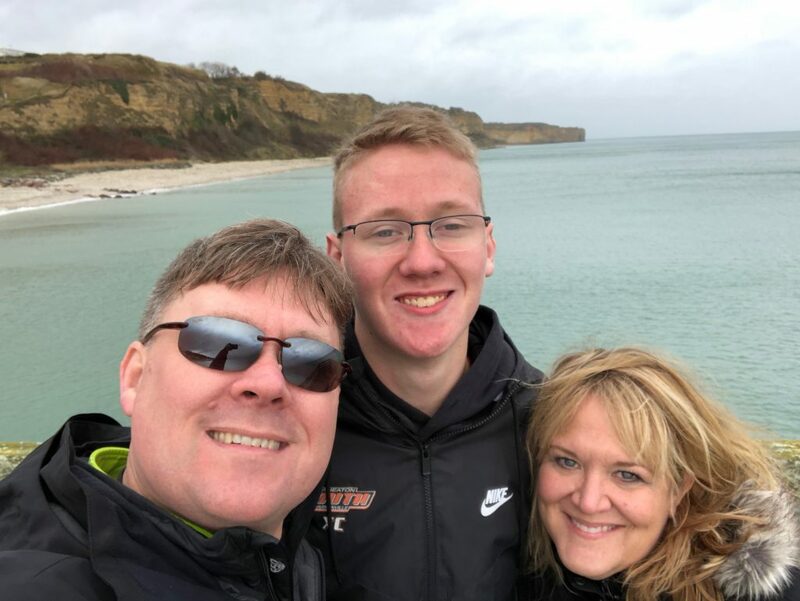 I have visited France a few times for work, but I almost never have any down time, much less time for sightseeing, on my trips. 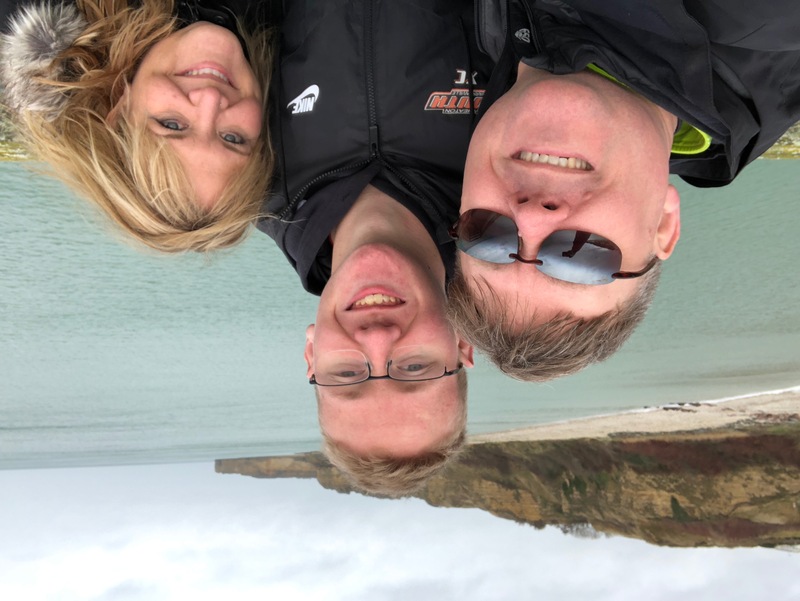 On top of that, unlike my wife, I had never been to Normandy until late last year, despite my wife’s 13,756 trips there (I could be off by one or two, but I am pretty close on that number). 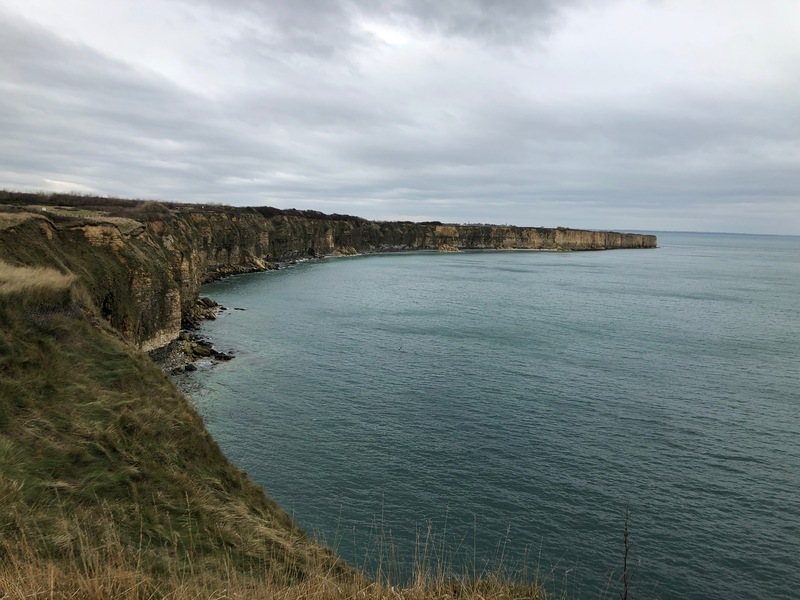 And I had never been to Normandy despite the fact that unlike my wife, I was a history major in college … with a focus on the WWII era for my thesis. Oh, the irony. 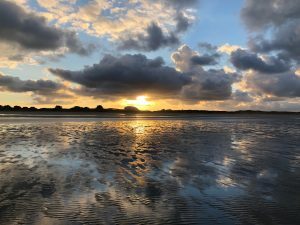 My wife has been telling me again and again and again how wonderful Normandy was, and how I absolutely had to visit, and how she wanted to share with me what she had experienced there. So last year was our 25th anniversary and for one of my gifts to my wife, I booked us a trip to Normandy. 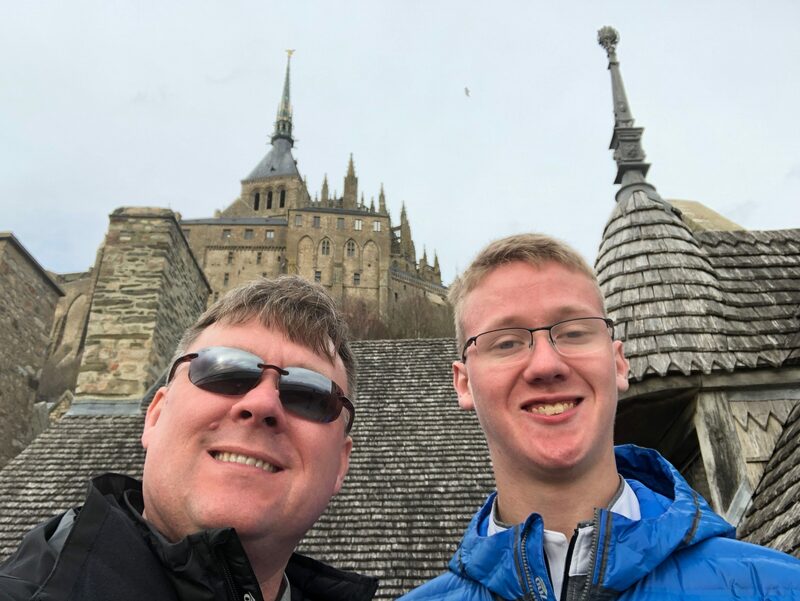 And because it is what every couple does on their 25th anniversary, we decided to take our youngest son, a teenager, in tow. 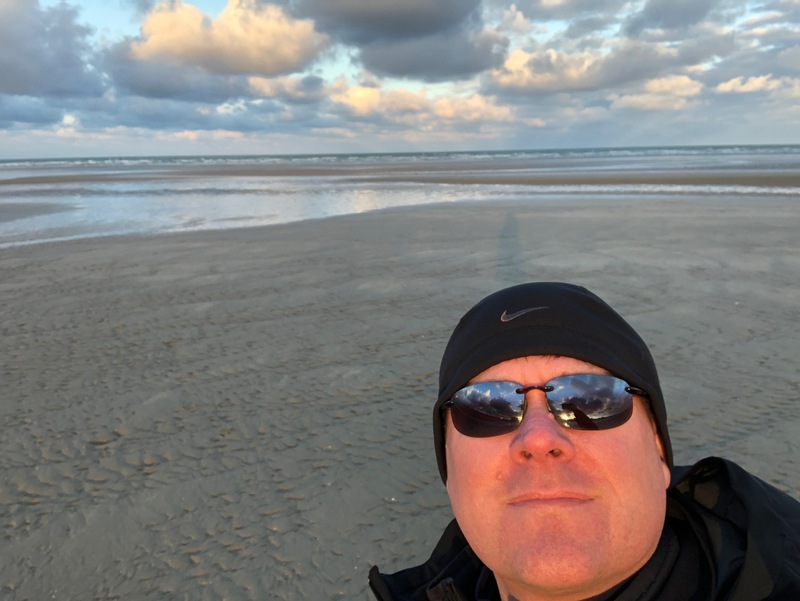 So, with that background, I give you the top ten lessons I learned in Normandy. People in Seattle take an almost unhealthy pride in their rain. They talk about their rain as if they are dating rain (and fear the sun as if it was their ex). But you know what? They don’t know rain. They think they know rain but they don’t know rain. No, Seattle doesn’t know rain … Normandy knows rain. Wind, too, but definitely rain. If you want to go bankrupt, try to become a weatherperson in Normandy. You cannot be right in guessing what weather is coming next. And even if you are right, you will be wrong ten minutes later. The thing is, the Normans do not blink at the weather. They seem to live every day with a collective shrug of the shoulders to whatever the weather gods bring their way. Rain comes? Jacket on. Sun comes out? Layer off. Wind kicks up? Pull the zipper up. No comment, no complaint, just is what it is. Pay attention, Seattle. 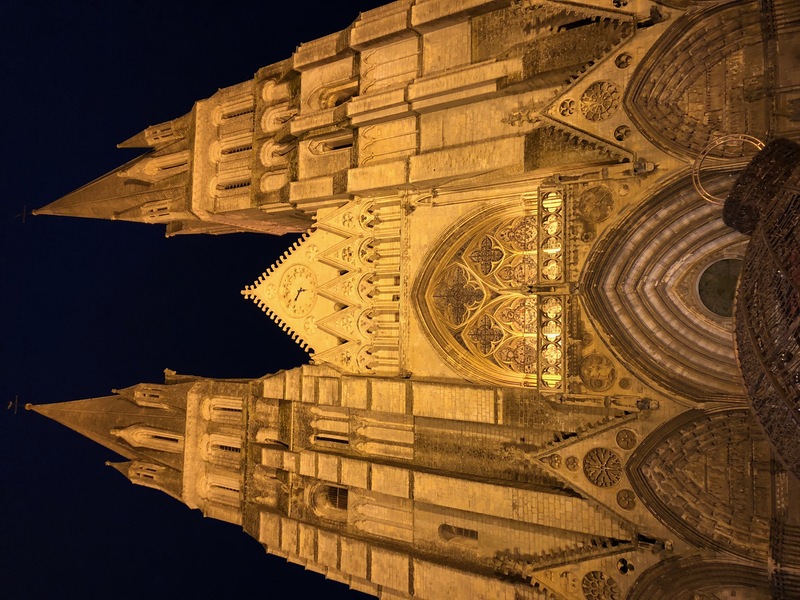 Normandy is what you should aspire to be. 9. Every Home Is Your Home. Seriously, you absolutely have to spend time there to understand what I am saying. Every home is your home. 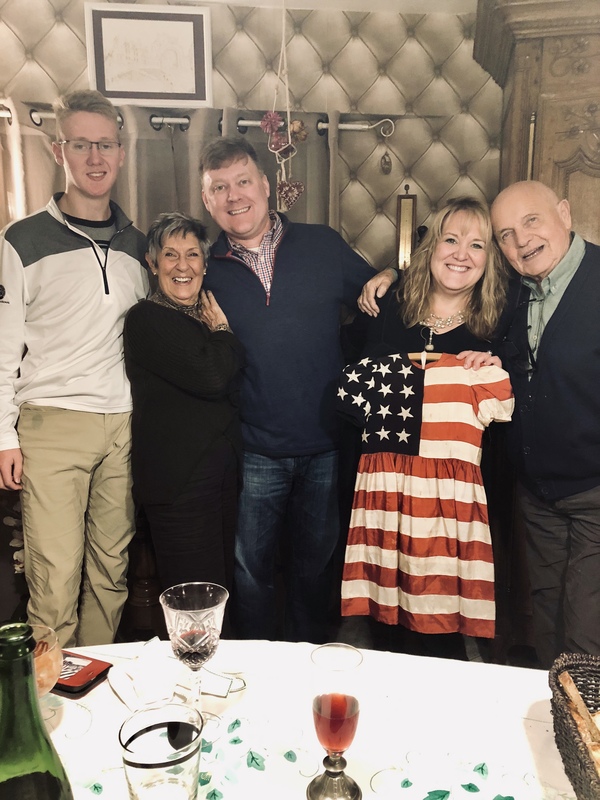 I had one of the most wonderful Thanksgivings of my life, for example, in a country that does not celebrate Thanksgiving and with several people I had not known until I walked in the door. Again, and again, I was welcomed in a way I have seldom experienced before. And I am not even likeable. Heck, I don’t even like me. But there I was, being welcomed into home after home. 8. I Am a Brilliant Photographer. 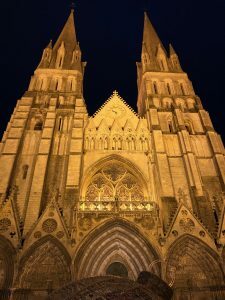 … and I am sure that it has nothing to do with the fact that seemingly every time you turn a corner in Normandy, it seems like you are confronted with something beautiful. 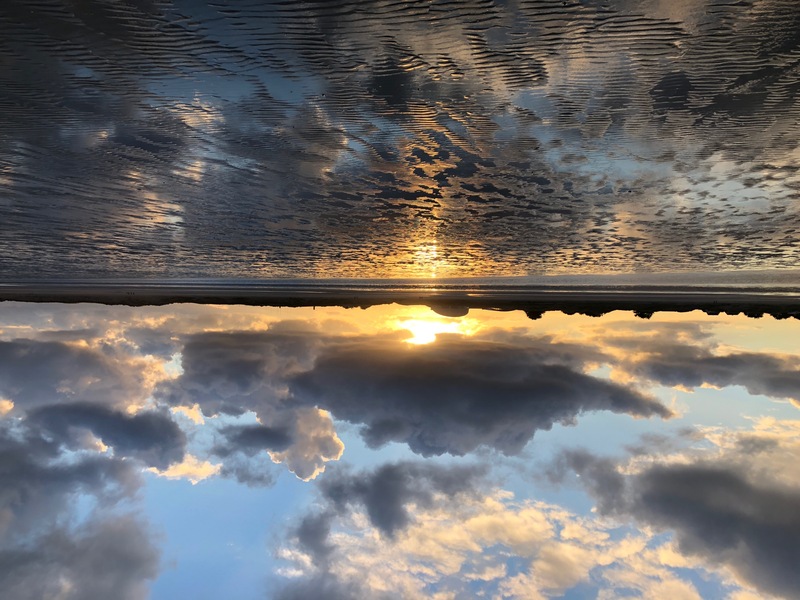 A beach, a sunset against the clouds, a sprinkling of nature’s colors, and so on and so on and so on. It can’t have anything to do with that. I think I am just that good. 7. History Is Layered On History. 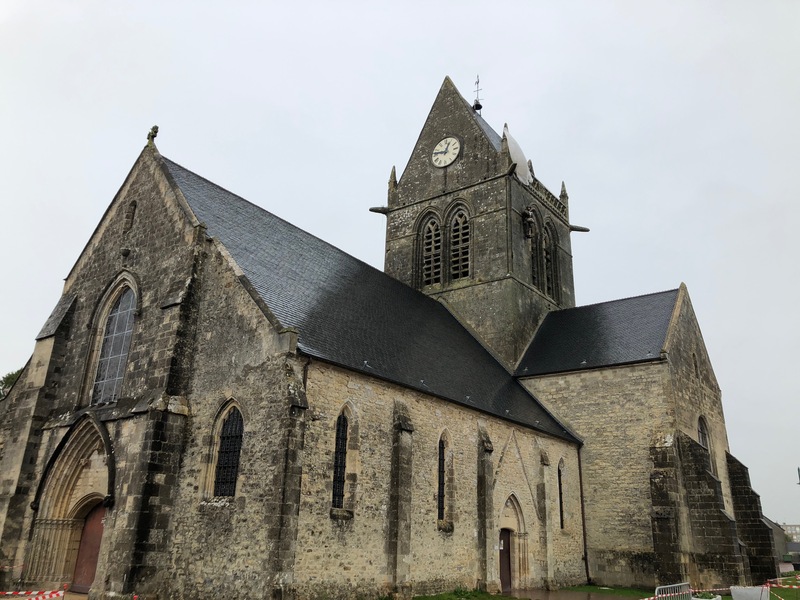 Speaking of things, you find every time you turn a corner in Normandy, it is a history lover’s dream. As I wrote above, I was a history major in college, so I was constantly asking about what happened here or there. 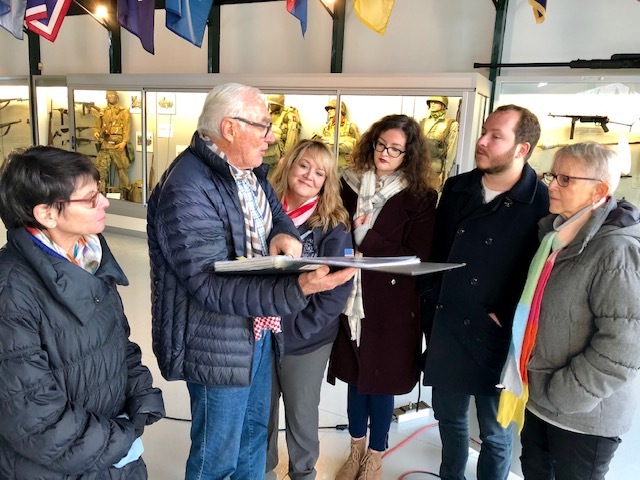 And at the beginning, my questions were intended to ask what happened at a particular spot during the D-Day operations. But again, and again, the answers didn’t begin with D-Day. No, the answers began with what happened in the 12th century, and then in the 14th century, and how it was damaged during battles in the 16th century, and then was rebuilt in the 17th century, and then it was used in this way or that way in the 19th century, and then, just then, could you get to what happened in 1944. And that was true of city centres. And churches. And homes. Even walls. I realize I only thought I was a history major. I was a history minor at best. I will tell you this, too – those I met in Normandy seemed to appreciate history far better than most. Perhaps that is due to growing up and living in a place where you constantly can touch history. 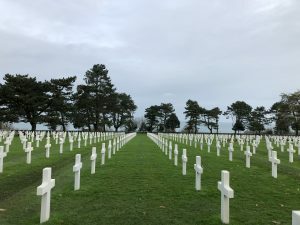 But for whatever the reason, that appreciation for history is palpable and, I suspect, at the root of why the people of Normandy remain thankful to this day for the sacrifice of those who served in WWII, particularly on D-Day. 6. I Don’t Need To Go To The Moon Now Because I’ve Already Been. Well, when I was a young boy, I generally wanted to be President, too. (Hasn’t happened yet, but I figure there still is time.) But for a period, just a brief period, I wanted to be an astronaut. I have no clue why. It was just a brief phase but one thing I liked about the idea of being an astronaut was knowing that I would get to walk on the moon, exploring the craters in a foreign landscape. Well, I never got to be an astronaut (and having timed out on that as an option, I am going to have to stick with the whole President plan). I have, however, been able to walk on the moon. 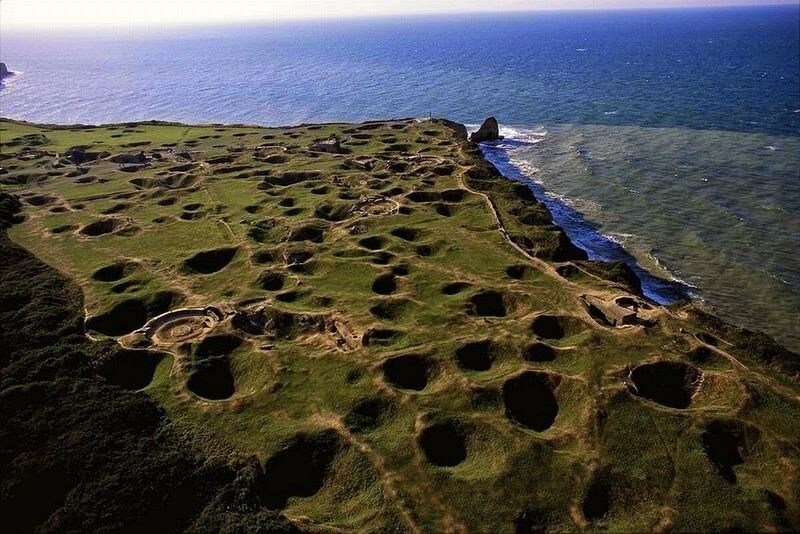 If you have not read about Pointe du Hoc, why it worried the Allied invasion planners, and what happened there on D-Day, go do it. It also gets a little air time in The Longest Day, so watch that, too. And then go read more about it because I cannot adequately cover it in this space. 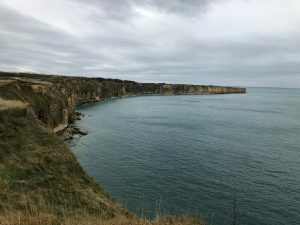 But what I will say is that the Allied invasion planners were so concerned about the German batteries they believed were at Pointe du Hoc that in advance of an attack on the batteries by US Rangers, the Allied forces pummeled Pointe du Hoc with air attacks and naval gunfire for around 40 minutes before the Rangers were to scale the cliff walls at Pointe du Hoc to attack the German batteries. 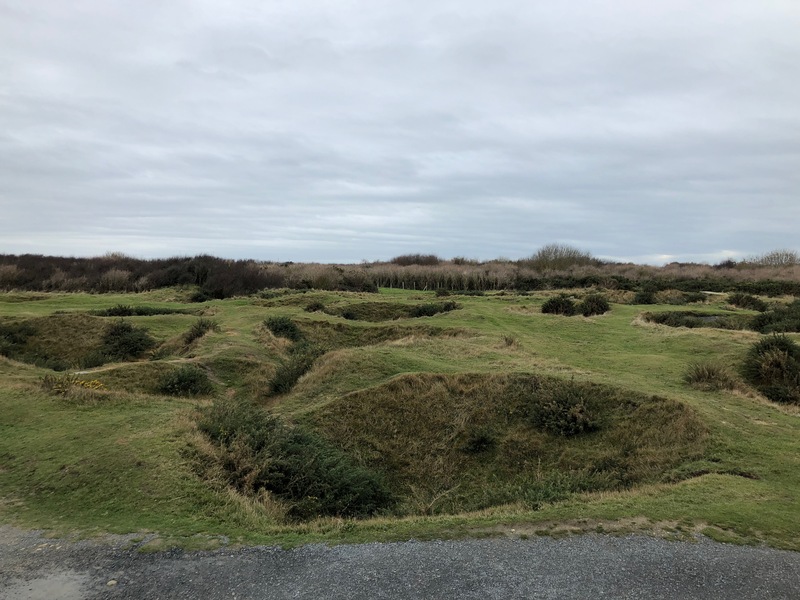 And the result of that bombardment is, to this day, a landscape so dotted by shell craters that I would imagine you can find nowhere else like it on Earth. But on the moon, maybe. 5. Boys Are Going to Play With Guns. My wife and I have four sons. Four. Could have stopped at two. Many ask why we didn’t stop at three. Four sons. With that context in mind, when my wife and I were young parents, there was a brief period of time when my wife decided that there was too much violence in how our sons would play with each other. The solution? In addition to trying to more closely monitor what they were watching on television – let’s forget for a moment that what they generally were watching on television was what their father was watching – my wife boxed up all the boys’ toy guns and set them aside to donate. Did we donate them? No. Within a couple of days, my wife handed the guns back. Her reason why? She learned that they would make guns out of anything – sticks, wooden spoons, fingers … anything. Boys are going to play with guns. Fast forward to 2018. 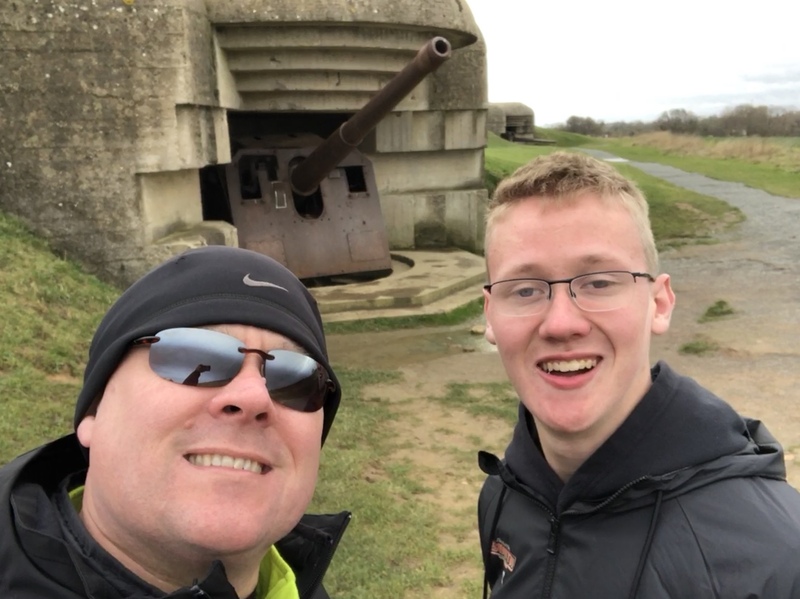 Did you know that there still are the remains of pillboxes overlooking the beaches of Normandy with the German artillery guns still in place? I do. 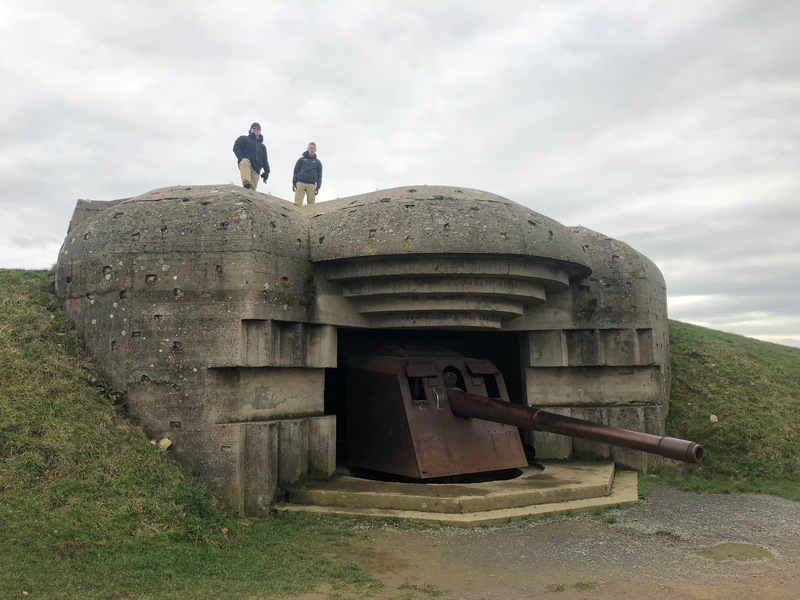 They are an incredible reminder of what the Atlantic Wall looked like on D-Day. 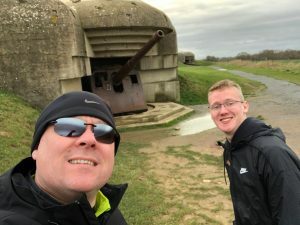 And of course, my son and I had to explore the pillboxes, imagine what it was like there on D-Day, explore the blast damage to the pillboxes to envision how the naval shells hit the pillboxes that fateful morning, and, of course, get behind the emplaced guns and imagine them being fired. Yes, boys are going to play with guns. 4. That Is a Lot of Beach. 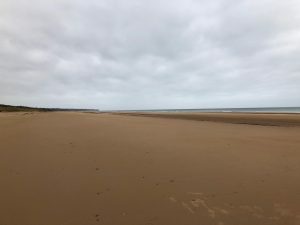 There were a number of factors that had to be considered by the Allied invasion planners when it came to deciding on which French beaches to land on D-Day, factors as technical as the timing of the tides at particular beaches. 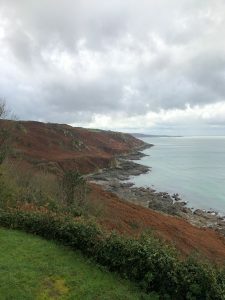 One key factor was the depth of the beaches in terms of the distance from the sea to land at both low and high tide. And when you visit the beaches, particularly at low tide, how cannot help but be struck but how deep the beaches are. 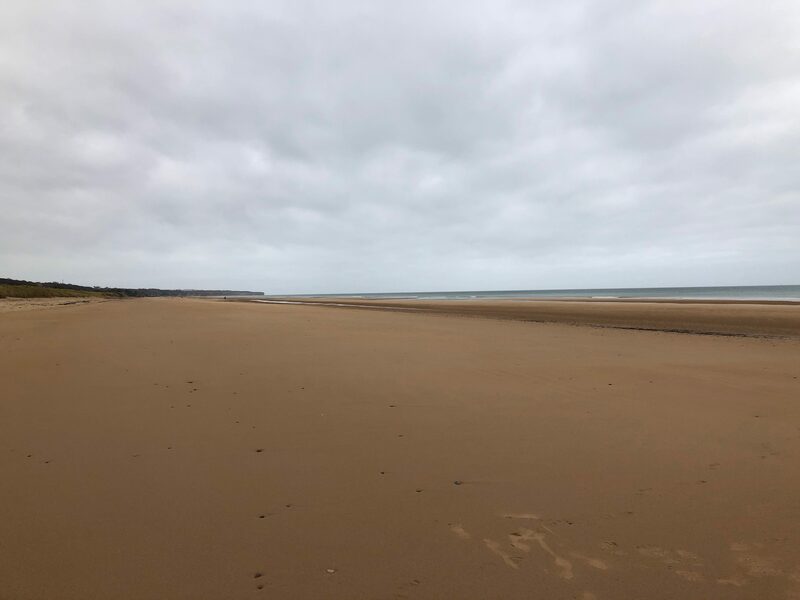 One night when I was in Normandy, for example, I walked Utah Beach at low tide, walking all the way from the dunes to the sea, including through the pools left behind by the sea as the tide went out. 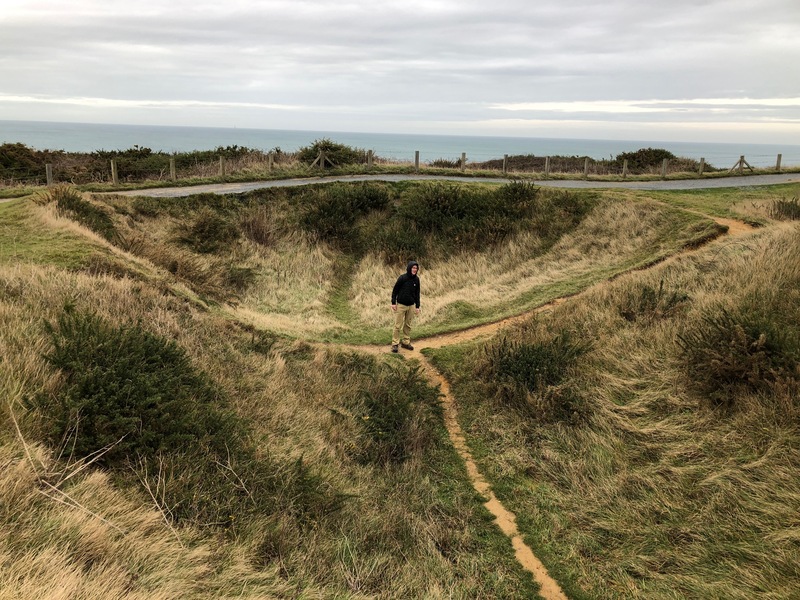 It took me forever to do so and all I could think as I was doing it was … how in the world did men voluntarily get out of landing craft and then run that far across those beaches? Let’s go a step farther in comparing my situation with that of the men that chose to leave those landing craft and run across those beaches on D-Day. I get scared of plenty of things. Snakes. Propane gas exploding. Talking about feelings. But I never had to consider my fear of any of those things, much less anything else, in deciding whether to walk across the beach. I was worried about getting my shoes and pants too wet … and it isn’t like I had to wade from a landing craft in hip deep water, just to get to the shore. 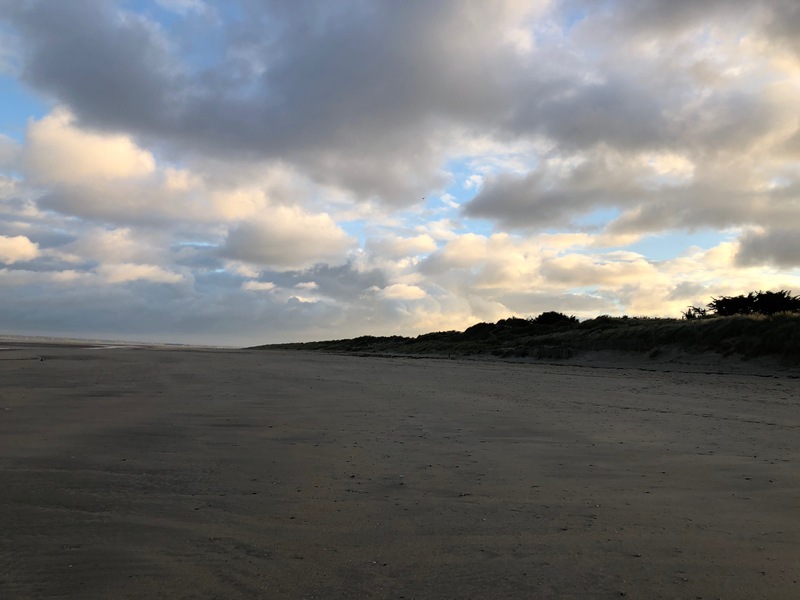 I got a bit tired walking the beach, on a beautiful evening, at my own leisurely pace, despite the fact that I was not having to wear a pack or carry the weight of a weapon. And perhaps most relevant here … no one was shooting at me! Like I said, that is a lot of beach. 3. 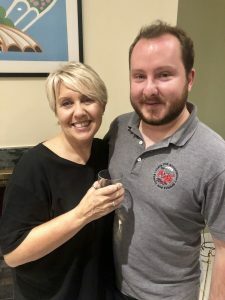 Wine As An Experience. … but there are French wines for which I would rob a bank or sell a child (keep in mind that I have four sons, so I figure I can sell one and still have three others to shovel the driveway in the winter, plus I now have French wine). 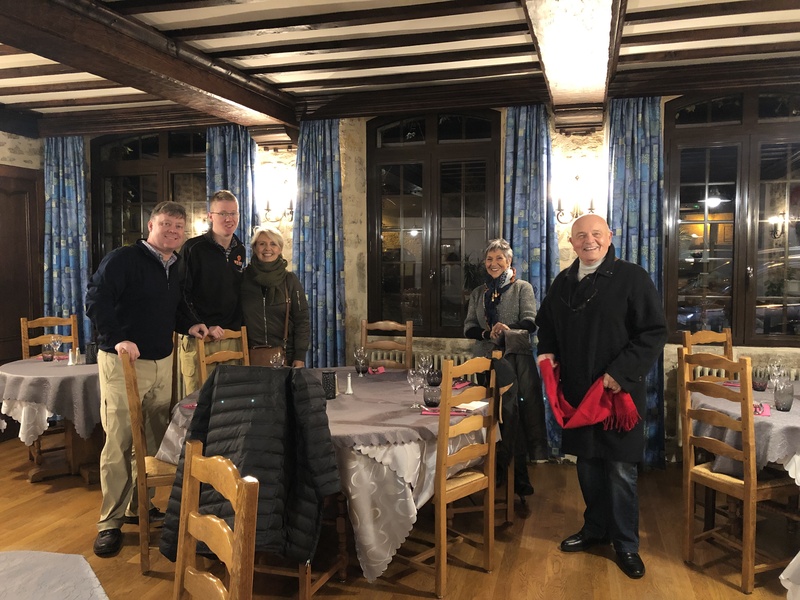 But beyond the quality of the wine in France is the experience of the wine in France. 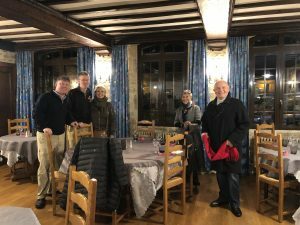 I am sure there are people in Normandy who drink alone on occasion … but why? One final word of warning on this general topic: when your new friend in Normandy tries to introduce you to the local Calvados, run. Run fast. You are an amateur, they are professionals, and the Calvados that you have had from a bottle off a grocery store shelf in Des Moines or Phoenix or Moscow or wherever has not prepared you. You are not ready for their Calvados. Run. 2. I Had Never Really Experienced Quiet Before. Before Normandy, I felt like I had experienced quiet before. No, not back when I was a kid and my parents asked my brothers and me to play the Quiet Game on long car rides (if you want young boys to have an almost irresistible urge to make noise, just tell them to play the Quiet Game). But like I wrote above, I tend to recharge by being alone, and I am perfectly comfortable dealing with the quiet of solitude. So, I thought I knew quiet. 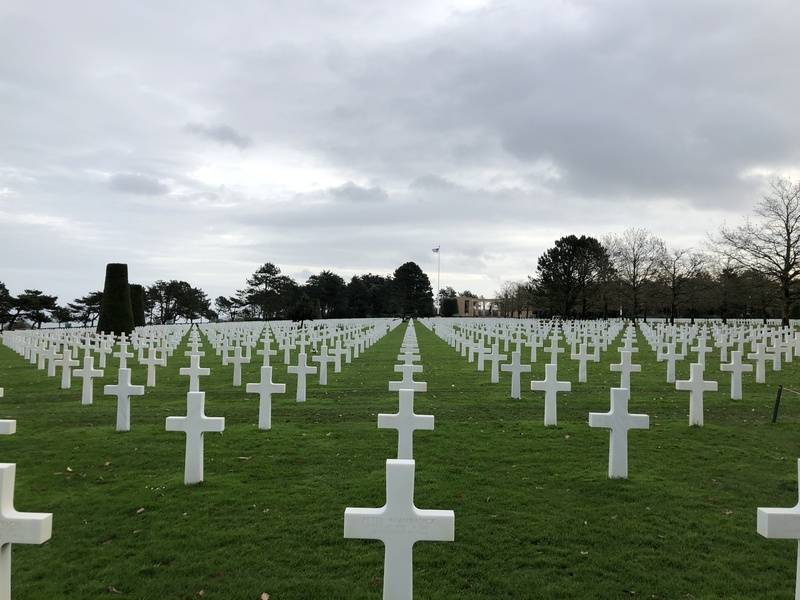 When you walk through the Normandy American Cemetery and Memorial at Colleville-sur-Mer on a late autumn day, you experience quiet. Oh, there are noises, I know. We were not the only people at the Cemetery that day, I realize. But when you walk through row after row after row after row of crosses and Stars of David, you experience quiet in a new and profound way. Yes, you hear the waves from nearby Omaha Beach. Yes, you hear the breezes through the trees. Yes, you hear the sound of footsteps. But you also hear absolute quiet. And it will stay with you for a long time. 1. I Am Married to a Stranger. OK, OK, I get it, this lesson-learned is sounding a little dark to start, eh? Bear with me for a minute. I have been married to a woman for 25 years. A wonderful woman who, in the course of those 25 years, I thought I knew pretty well. I know she is not a morning person (oh Lord, she is not a morning person). I know her “organization” system. I know her laugh from across a room, and I have a decent idea of what makes her laugh. I know when she is enjoying something and when she is acting like she is enjoying something. I know how she cares for others, and I know many of those friends and family. And I know a million other quirks about her life. But what I learned in Normandy is that my wife has a whole different life about which I knew little to nothing. You see, in her role as the producer of The Girl Who Wore Freedom, my wife has gone to Normandy many times before and without me. So not surprisingly, she has an entire life there that until I went, too, I knew very little. She has two friends from Normandy named Flo, for example. One a woman, one a man. In any conversation on any topic, my wife simply refers to one or the other simply as Flo, assuming that of course I will know to which Flo she is referring. 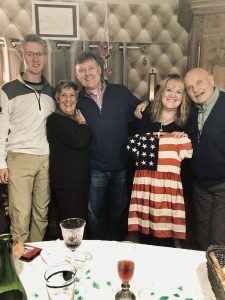 Until I went to Normandy, that could be a little challenging to me, as I would always assume that she was referring to the Flo that I had met, that being the Flo who had joined us in the US for Christmas one year and is now, for all intents and purposes, family (with a daughter who now is family, too). But at times, we would get deep into a conversation before I would realize that she was talking about the other Flo, who I now have spent much more time with and who has now also stayed in our home (and who, like me, knows what is a meringue and what is not – that may end up being a topic for another blog). 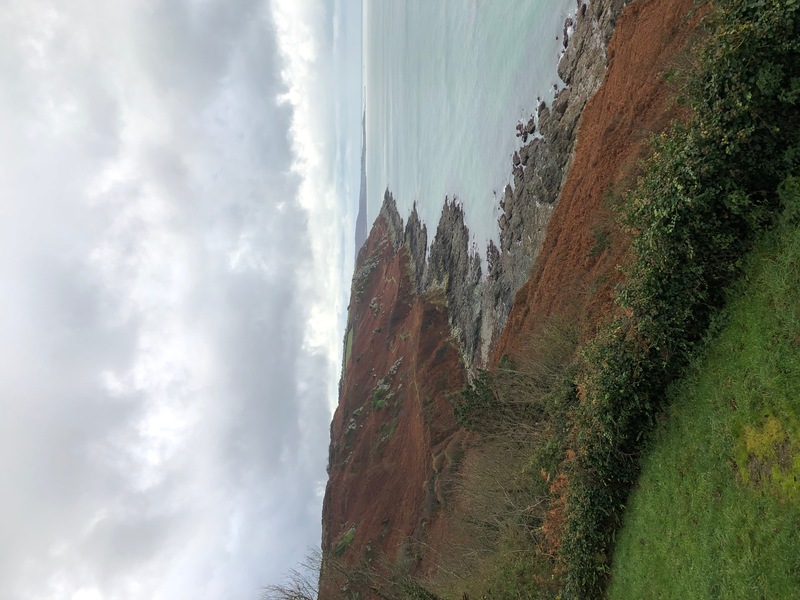 So now that I have been to Normandy, I know which Flo is Flo when we are talking about Flo, and I always look forward to when I will see Flo, whichever Flo it is. But the different life did not start and end with Flo (or Flos, I guess). 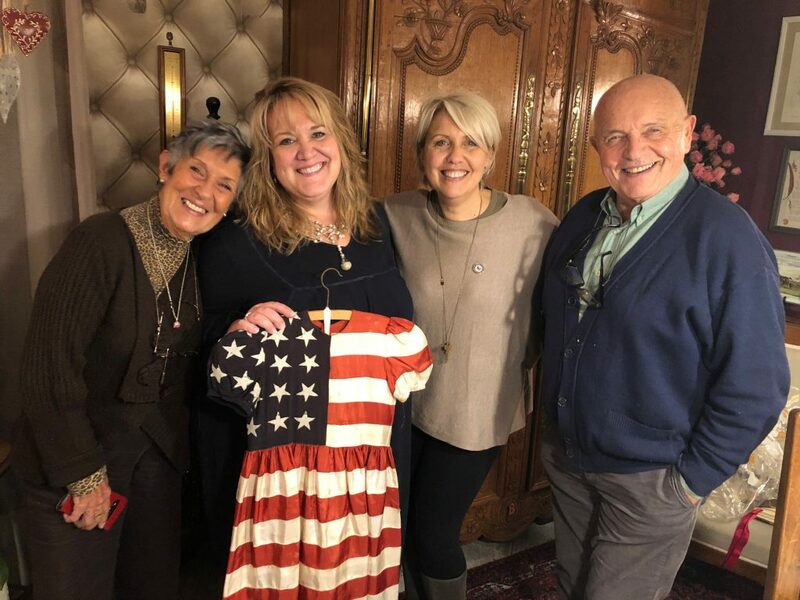 I had seen all the pictures of the woman who was The Girl Who Wore Freedom, for example. I had been told she was a wonderful woman. 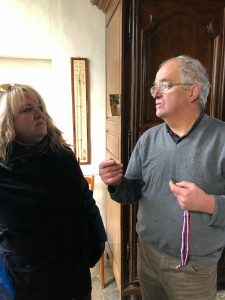 But I had not realized that she basically has adopted my wife into her family, and that we would be welcomed into her home in precisely that way. And it goes even beyond that, as my wife had built this entire network of new friends and colleagues, people who knew her in an entirely different way than I have come to know her over these past 25 years. People who built a relationship with her through different experiences with her, interacting with her in different ways in different places. People who had common experiences with her that I have never had. People who knew and respected her in a context that I barely know her. In a way, it was a chance to meet my wife all over again, this time through the eyes of others. Others who are, as simply as I can put it, just wonderful, warm, passionate people. 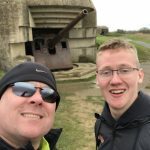 If you liked this, you’ll love Jeremy’s other blog posts: The 10 Best WWII Movies and 10 War Films that Describe My Life! Jeremy Taylor, pictured here in Normandy with son Josh, is the husband of The Girl Who Wore Freedom producer Christian Taylor. He writes stuff when his wife tells him to write stuff. Way to knock it out of the park again, Sir. 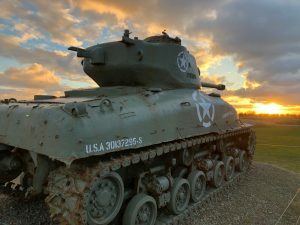 I was already sad that I couldn’t join the team in Normandy this summer and now I am borderline distraught. I have now moved Normandy to the top of my bucket list and I seriously need to get my hands on that wine. And if the threatened tariffs are put into place, importing French wine into the US will get harder to do … so book that ticket soon!